Netflix‘s subscriber growth will drive financial results well above Wall Street estimates and should boost its stock price, Goldman Sachs says. Netflix missed Wall Street’s expectations for subscriber additions on July 16, sending shares down as much as 14%. Wall Street may be underestimating Netflix‘s potential to grow its subscriber base, Goldman Sachs says. “We believe subscriber growth will drive financial results well above consensus estimates and should continue to drive stock price outperformance,” Goldman Sachs analyst Heath Terry said in a note sent out to clients on Tuesday. Goldman Sachs expects the video-streaming giant to add 30 million net subscribers in 2019 – the Wall Street consensus is at 25 million. 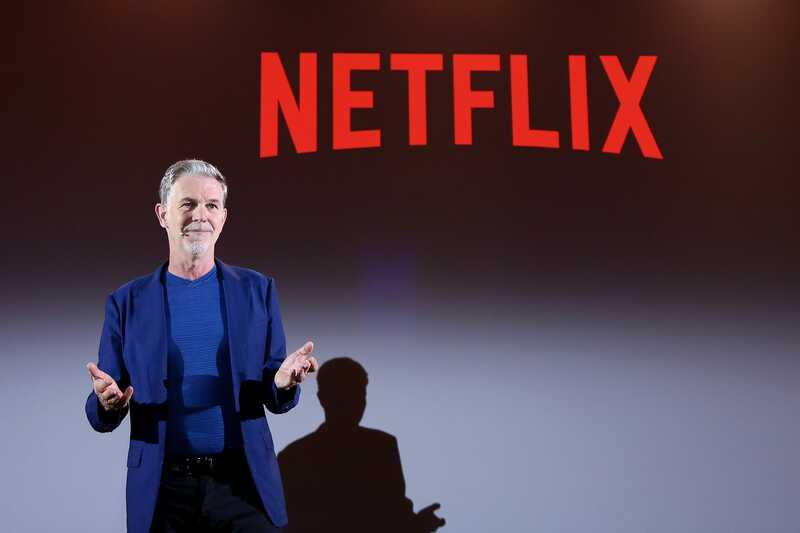 Netflix’s added 5.2 million new subscribers in the second quarter – 1.1 million in the US and 4.1 million internationally – missing Wall Street expectations for the first time in more than a year. Analysts were expecting 6.3 million – 1.2 million domestically and 5.1 million internationally. The streaming giant also warned investors that its subscribers would fall short of estimates in the third quarter. Shares sank as much as 14% following the results. And while they have seen a small bounce, they are still down 11% from their record high of $US423.21 high set in June. However, Terry is optimistic that Netflix will erase those loses and surge as much as 23% to $US470 in the next 12 months. Wall Street’s consensus “underestimated the size of Netflix’s global addressable market, the impact of incremental content spending, and the growing value of Netflix to both distributors and content creators,” Terry said. Terry noted that 70% of Netflix streams are currently running through connected TVs and that it has lots of potential to add subscribers who stream videos on mobile phones, particularly in international emerging markets like India where mobile is the primary way that consumers access the internet. “While there are certainly risks to results quarter to quarter, as we saw in 2Q, we believe the long-term outperformance will far outweigh those risks and remain Buy rated,” Terry added. 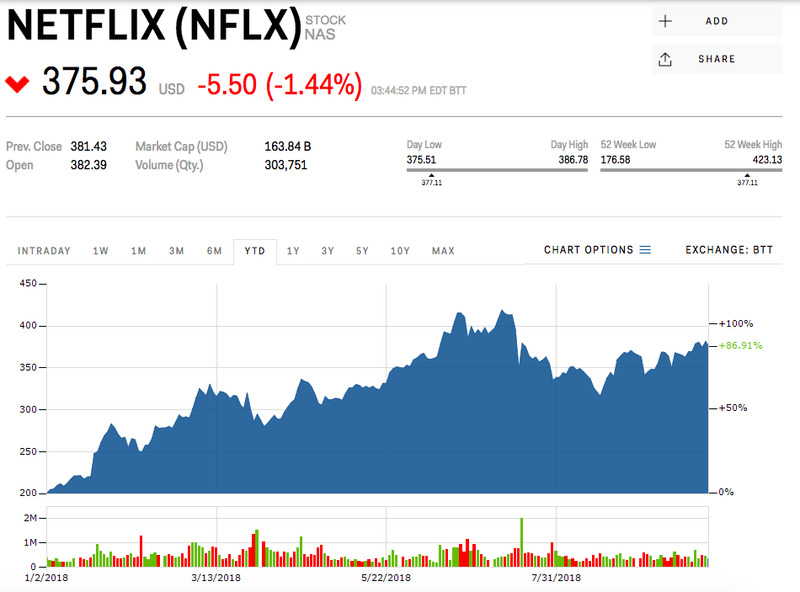 Netflix was up 87% this year.